The Town of Lyons would like to clarify the status of the affordable housing development being proposed in Lyons Valley Park by Summit Housing Group (SHG or “Summit”). Currently, Summit is proposing 40 rental units consisting of 29 two-bedroom townhomes and 11 three-bedroom single family homes. They plan to serve households earning 60% ($65,160, 4 person household, HUD effective April 2018) or less of Area Median Income with on-site parking, a management office and a playground. Summit has pledged to work to identify and give priority to flood-impacted households. Summit has submitted funding applications to the Department of Local Affairs Division of Housing (DOLA DOH) for Community Development Block Grant – Disaster Recovery (CDBG-DR) funds and to the Colorado Housing and Finance Authority (CHFA) for 4% Low-Income Housing Tax Credits. They are separate funding streams with separate application and selection processes. 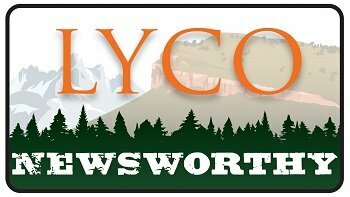 The Town of Lyons elected to work with Summit after conducting a public request for proposals process. The Town and Summit have hosted community meetings with the Lyons Valley Park neighborhood, the general public, and the Board of Trustees to provide details of the project proposal and solicit input on their design and planning process. These meetings meet the pre-application requirements of the DOLA DOH and CHFA for sharing information about the project with community stakeholders. The Town of Lyons will hold additional public hearings in accordance with requirements of the Lyons Municipal Code once a development plan application is submitted. Regarding the zoning of the parcel, Tract A, Filing 8 LVP (“Tract A”) permits multi-family development because it is currently zoned R-1 subject to the Planned Residential Development (PRD) overlay. The zoning and PRD were approved by the Town Board of Trustees pursuant to Ordinance 353 on February 19, 1980. Subsequent to the passage of Ordinance 353, the Town adopted new Town-wide zoning regulations in May of 1980. However, Colorado law, and the regulations themselves expressly continued the existing zonings in place at the time the regulations were passed. Consequently, the zoning and PRD approved via Ordinance 353 continues to this day. A copy of Ordinance 353 and the page of the PRD showing the proposed density of Tract A is attached. The proposed single-family housing will not require site development review because they only require a minor building permit per the Lyons Municipal Code. The proposed townhomes on Tract A will require a development plan application to be submitted to the Town by Summit. Development plan review will require a public hearing with the Planning and Community Development Commission (PCDC) prior to building permits being issued. The decision of the PCDC may also be appealed to the Town Board of Trustees. Currently no development plan application has been submitted to the Town by Summit. The Town will continue to publicly notice the Tract A development review as it is progresses. Copyright - 2019 Town of Lyons, Colorado. All Rights Reserved.